Develius is the epitome of luxury. 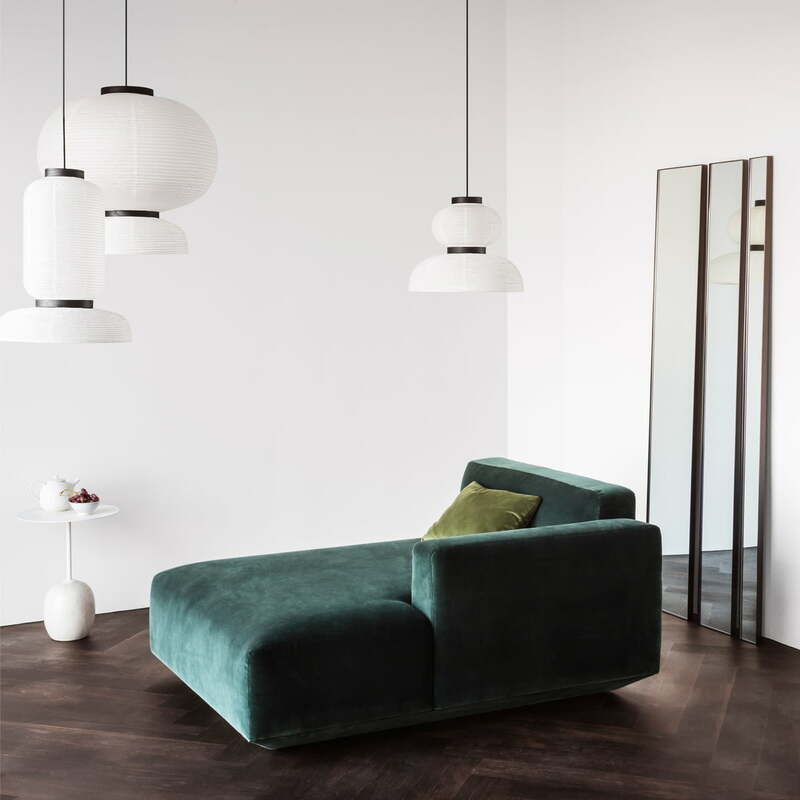 The Develius modular sofa system was designed by Edward van Vliet for &Tradition and is made up of a composition of huge cushions in various shapes. The different components can be arranged at will to create a very personal and modern sofa and your own little piece of paradise. 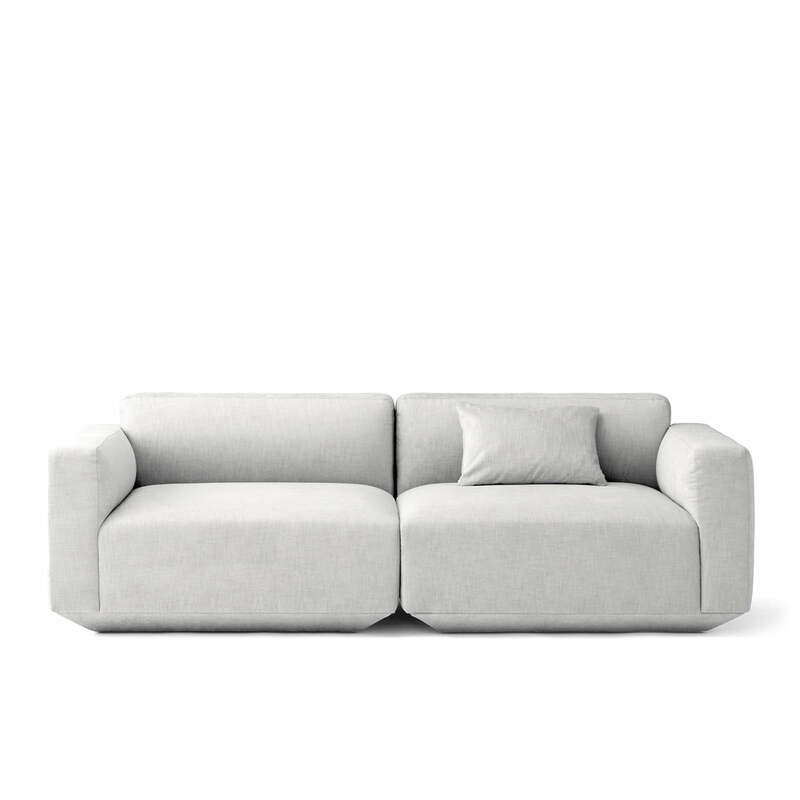 The 2-piece sofa is ideal for the modern city apartment and offers seating for up to two people. It visually takes up very little space thanks to the soft shapes and narrow base. 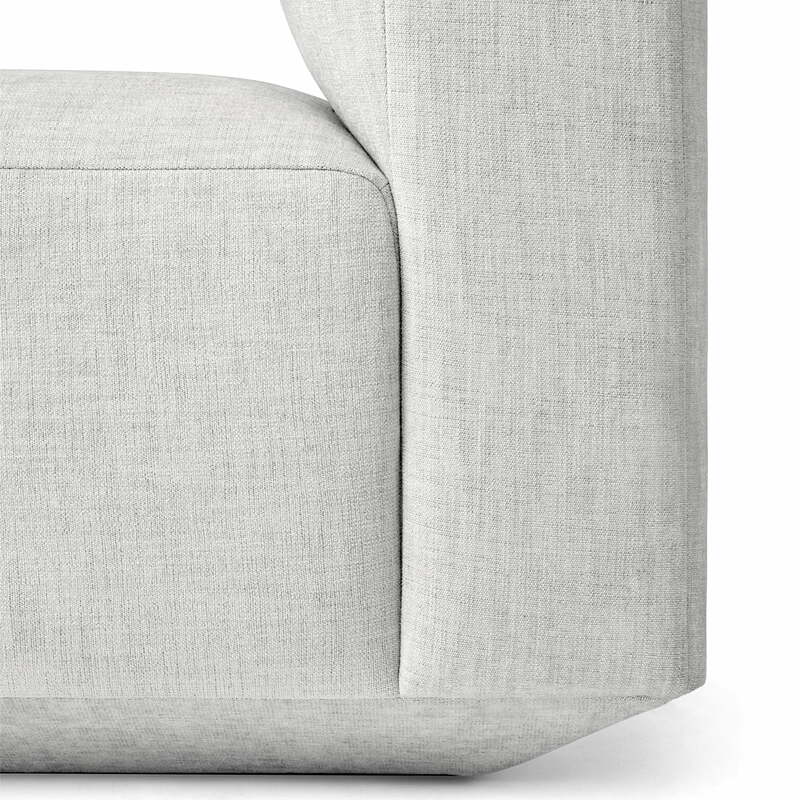 The sofa is available with or without armrests. 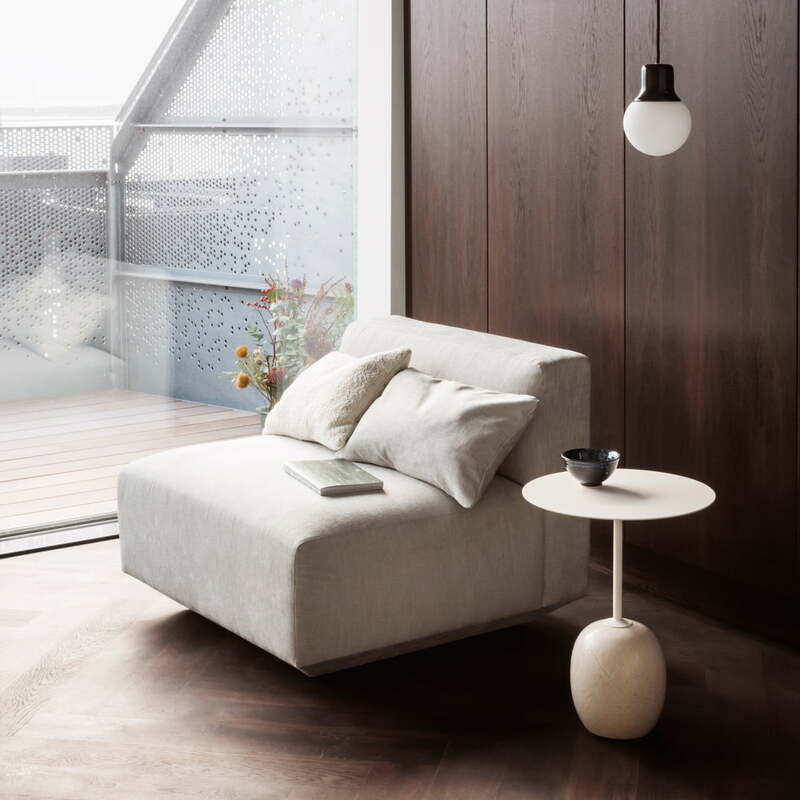 The sofa consists of a frame made of wood and padding of HR foam and polyester wadding. The upholstery of the sofa can be individually chosen. 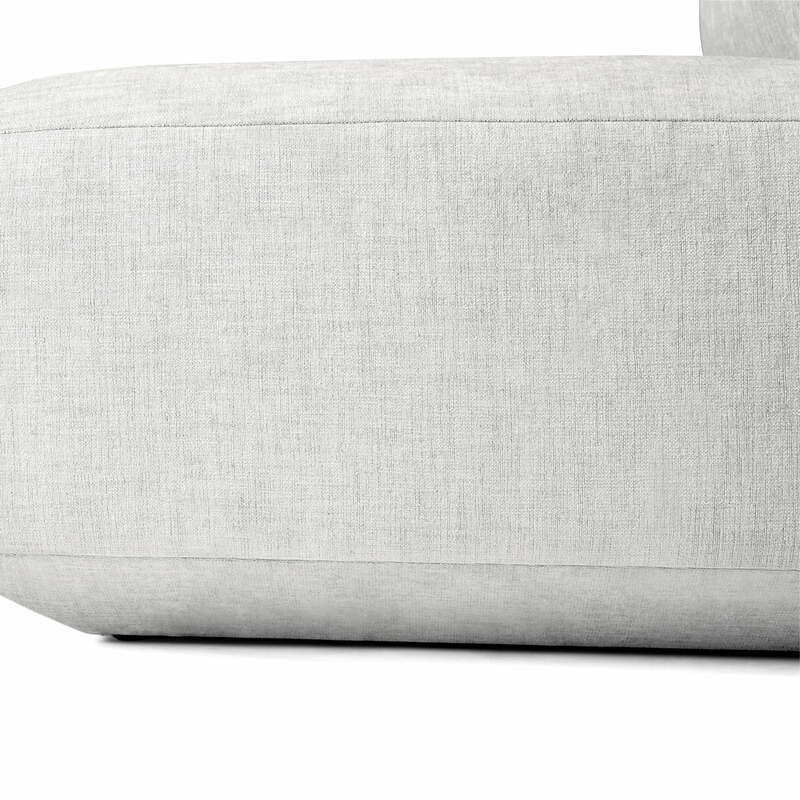 Metal brackets connect the individual modules of the sofa securely and reliably. The entire Develius sofa series consists of 16 different modular sofa elements with or without armrests which differ in depth, width and shape - from rectangular to square. In addition, the series includes several poufs and decorative cushions. 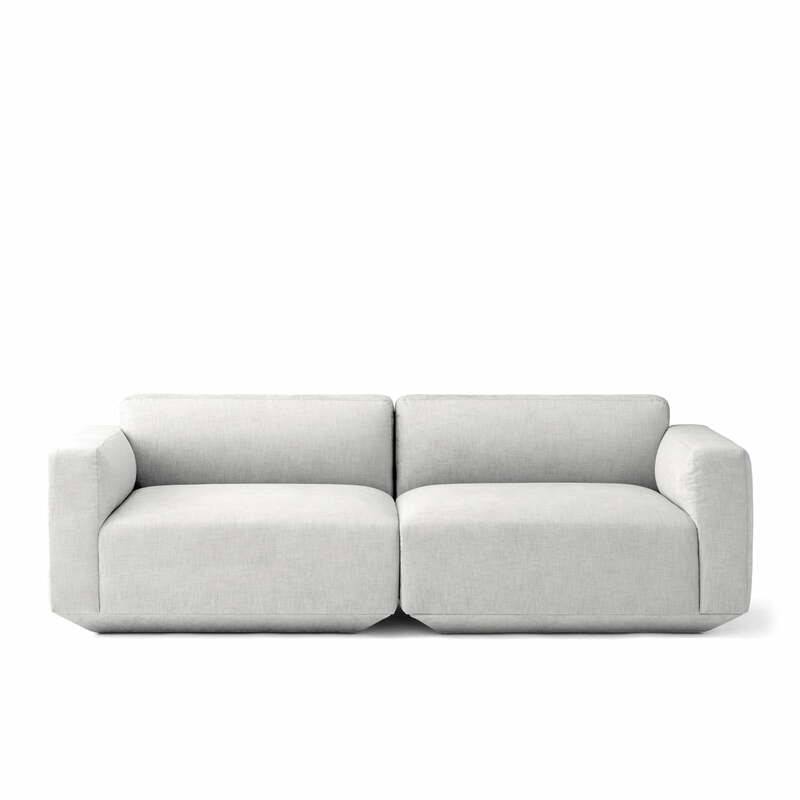 The Develius 2 seater sofa configuration G by Edward van Vliet for &Tradition consists of two modules and is upholstered with a Kvadrat upholstery in Maple 112. 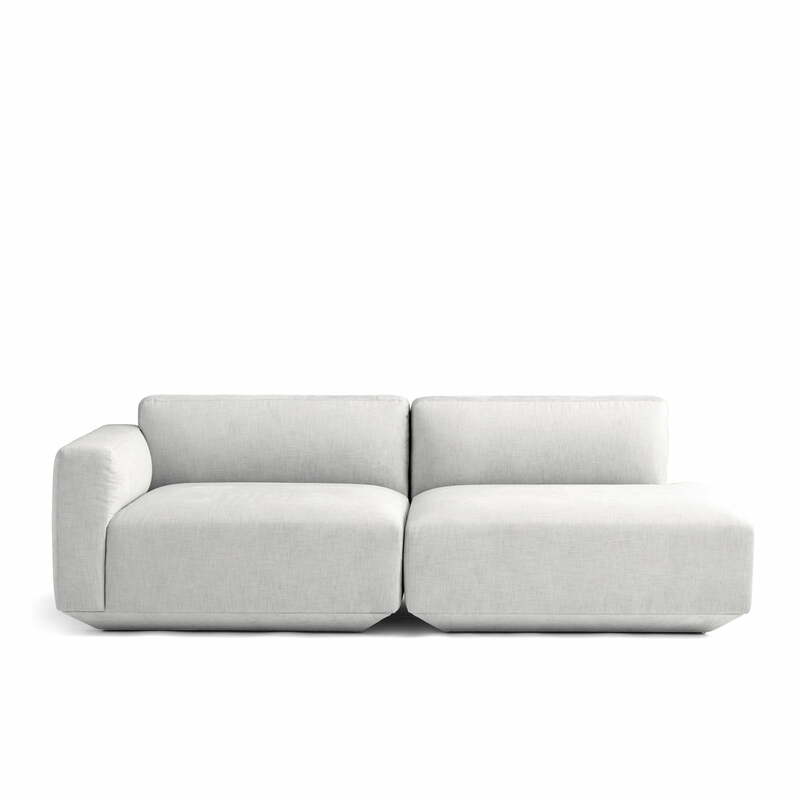 Isolated product image: The various modules of the modern sofa can be put together at will. This makes it possible to customise your little corner of paradise.